We have developed state-of-the-art storage facility wherein we keep a large stock. It also prevents our offerings from the air, dust, sunlight and other damaging factors. Since we have years of knowledge, our organization has arisen as foremost suppliers of WB-1701 Sports Round Neck T-Shirt. 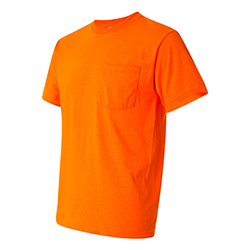 WB-1701 Sports Round Neck T-Shirt is highly soft and comfortable and is available in different designs and sizes.